What does your blood pressure reading actually mean? (RxWiki News) High blood pressure is a leading cause of cardiovascular disease. But what do your blood pressure numbers actually mean? Blood pressure is a key indicator of how the heart and other body systems are functioning. Measuring blood pressure properly and regularly is vital to staying healthy. There are many devices to measure blood pressure. But lots of little factors can affect the reading. False negatives occur when you have high blood pressure, but it is incorrectly measured to be normal. False negatives may cause people who would benefit from treatment to not receive treatment. False positives occur when people who do not have high blood pressure get a high blood pressure measurement. False positives can cause you to get treatment for high blood pressure when you don't really need it. A false positive can also cause you to receive more treatment than you really need. An accurate blood pressure reading is important, but many factors can compromise a reading. Using improper technique can cause inaccurate blood pressure readings. Moving or talking while the cuff is taking a blood pressure reading can affect your result. Errors with the device, such as bad calibration or a dysfunctional cuff, may also occur. Use a blood pressure cuff of the correct size. Do not smoke, drink caffeine or exercise for at least 30 minutes prior to the reading. Consider using an automatic cuff to avoid the procedural barriers that can come with a manual cuff and stethoscope. Calibrate all blood pressure devices regularly. A single high reading is not sufficient to diagnose high blood pressure. If a high reading is found, your doctor will recheck the same arm on another visit. Some people experience a phenomenon called white coat hypertension. 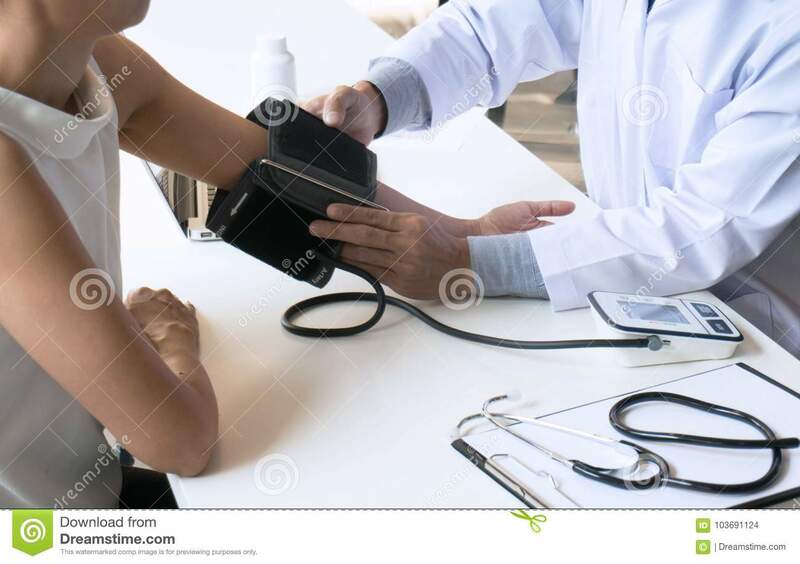 White coat hypertension is when your blood pressure becomes artificially high only when you are feeling anxious about having it checked by a medical professional. Ambulatory blood pressure monitoring (ABPM) allows continuous (every hour or more) blood pressure checks during your daily life. This gets rid of the anxiety of going to the office. Your blood pressure should become lower during sleep. Some people experience "nocturnal hypertension," meaning their blood pressure is higher at night. ABPM has the added benefit of being able to check blood pressure at various times of the day and night, when health care providers' offices would not be open. ABPM is not always feasible. It is expensive, with insurance rarely willing to pay for it. It is tedious to set up and can also be bothersome to some people. Home blood pressure monitoring (HBPM) is another option. HBPM can be done at home, work, a kiosk or a pharmacy. Experts recommend taking at least two readings in the morning and another two at night. At minimum, you should get one week’s worth of measurements. Masked hypertension is less common than white coat hypertension. Masked hypertension is when blood pressure is high at home but normal when measured by a health care professional. HBPM and regular readings at medical office visits are advised. Blood pressure goals vary based on factors like age and past medical history. Hypertension is an important risk factor for cardiovascular disease. It must be measured properly and regularly. Working with a health care provider will help ensure that your blood pressure stays at a safe level.